I've already seen a bunch of people post their thoughts on this and I'm going to be boring and echo what I've seen. This is a bit of an odd topic that I'd not normally give a lot of consideration to - gaming celebrities. There's a number of celebrities who have been known to show up in World of Warcraft online but I'll stick to traditional tabletop games. I did some googling to see if there were any surprises - turns out actress Dame Judi Dench is known to be a gamer which I'd had no idea. I also discovered conservative columnist Michelle Malkin to be a gamer. Actor Vin Diesel is known to be a huge D&D fan and is always a delight on film (the man managed to deliver the line "I am Groot" with like a gazillion variations in Guardians of the Galaxy). 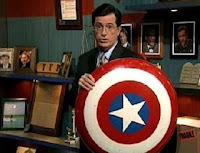 I'm going to to give the nod to Stephen Colbert who over the time of Colbert Report slipped many D&D references in. He clearly has some serious geek credibility, easily exchanging lines about Tom Bombadil with Neil Gaiman. I'm not certain I have a must-visit RPG website anymore. I still do the occasional peeks at rpg.net and yog-sothoth.com. Oddly I probably visit Google+ for most of my gaming collaboration. 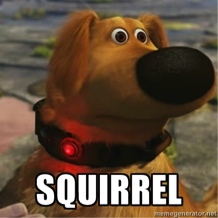 I've got a pretty broad group people in my circles and am a member of numerous communities. I know Google+ gets dinged a lot as a social media site, but I find it excels in bringing people of common interests together. 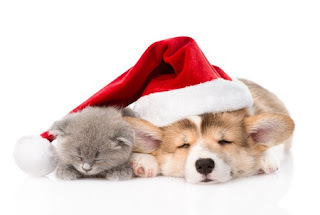 The only negative is if you are a member of many similar communities, you often see the same post multiple times since Google+ does not allow for a single post to appear in multiple communities. 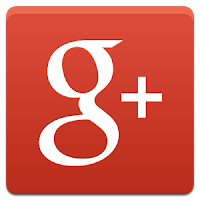 Google+ is also a nice play to meet people for online gaming. Some of the people I've met that way I've had a single or a few games with, others I've been gaming with for several years and talk with them outside of gaming. It be a game I used to play a lotThe odds of ever playing it again are small I'd mentioned the Last Unicorn Games incarnation of Star Trek when discussing my favorite science fiction games. Those games have a special place for me. Coming out from 1998 to 2000 they mark the point when I began regularly gaming again. 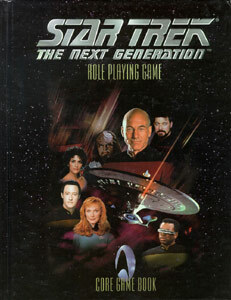 Star Trek was at a high point of its popularity in the 90s and I feel Last Unicorn Games was a great complement to the Star Trek television shows. A few days ago I'd mentioned how my perfect game would be some variation of Pendragon, adapted for a setting I preferred over Arthurian. When I wrote that I was thinking how very much I'd love to see some variant of Pendragon used for playing in the setting of George R.R. Martin's A Song of Ice and Fire. The passions and traits rules are perfect for modeling the interesting yet flawed characters of the setting - Ned Stark's stubborn honesty, Tyrion's inability to keep his mouth shut, etc. Moreover the system for large-scale battles, managing houses, etc. would fit the setting very well. 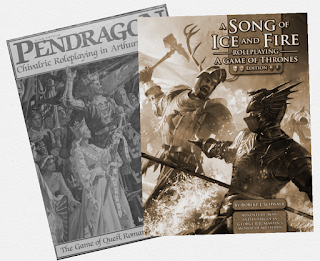 I'd also not throw out Green Ronin's effort in their Song of Ice and Fire RPG. The house creation rules are very appropriate to their setting, with the possibility that all characters are part of the same house as opposed to Pendragon's default assumption of each character being a landed knight. As far as my gaming inspirations go, I think I've a number that are pretty normal. I like listening to music while I'm prepping for a game, with my choice varying wildly from jazz to industrial. I like jotting ideas down, sometimes electronically and sometimes in a high quality notebook, armed with my Pilot Vanishing Point fountain pen - yes, my technology varies from old school to the latest and greatest. 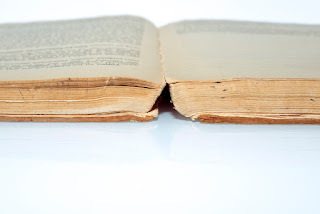 One thing I really rely on is history. I love learning about the past. Sometimes about the Roman, Byzantine, and Ottoman Empires. Sometimes Colonial and Revolutionary America. I've read much on the late 19th and early 20th centuries. The post-World War I period, the Great Depression. I've been gaming long enough for that I remember when a lot of now normal game mechanics were first taken for a spin. 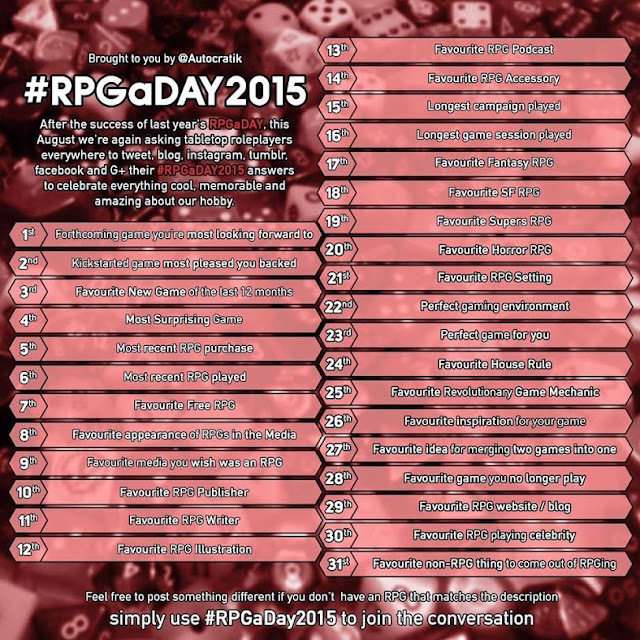 Though as I gave some thought to today's entry there's one game that kept coming to mind - and it's one I've not mentioned in my #RPGaDay2015. And sadly I've not had a chance to try the game out yet either, though it remains on my bucket list. I think the best criteria for such a mechanic is that it indeed be revolutionary but also seem obvious - a sort of "gee, why didn't someone think of that before now?" 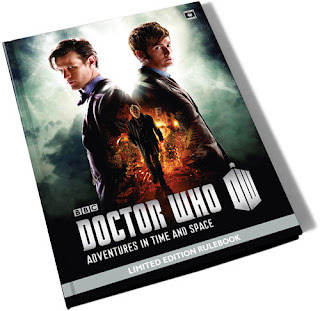 By that criteria, I'm going to nominate the action system of Cubicle 7's Doctor Who: Adventures in Time and Space. Back in the 90s, I think in the Usenet group rec.games.frp.dnd though it might have been in Dragon magazine, I read about the idea of allowing first level D&D characters to start with maximum hit points. 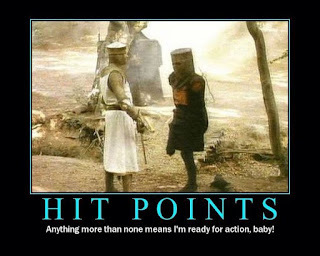 It's normal nowadays but at the time the official rule was at first level you started with random hit points. This was an idea I really liked and made use of, though I'm trying to remember if we really ever allowed first level fighters to go adventuring with just one or two hit points. But the rule did protect magic-users from angry housecats. Simple, easy to implement, and greatly improving the game, everything a house rule should be. Geez all this obsession with perfection... Perfect game for me. I'm going to answer this one partially and revisit this one when it comes time to mash-up two games. 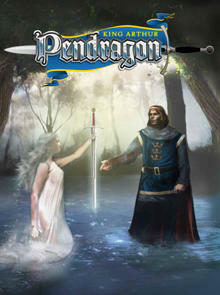 My perfect game would be a modified version of Pendragon. It has a number of things that I really like about it. First of all, it has a rules set I really enjoy - though it is d20 instead of d100 based, it is still a BRP system. Very easy to understand and visualize. I also really like the generational play of the game, with each adventure presumed to take place over a year and your character not expected to make it to the end of the game, whether dying of natural causes or of violence. Related to that, Pendragon treats wounds very seriously, harkening back to the state of medieval medicine, in a way that few games do - it is possible to be victorious in battle and then die of your wounds. This is kind of weird for me since it's been several years since I've had a regular gaming group physically present. That's not to say that I've not been gaming, rather I've been doing my gaming online. 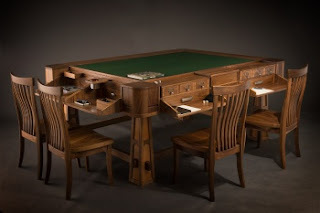 So let's start with physical environment - really what I need for that is a reasonably big table with enough seats for all the players and some space for character sheets, maps, munchies, etc. Now that I have kids I've grown to appreciate being able to isolate that space a little bit to give the group some privacy (and since our humor would often not be suitable for kiddies). Gaming online has come a long way. Our first effort was when a player moved away and continued to game with us. We used a webcam, a video messaging app, and aiming the camera carefully at any maps we might be using. It worked reasonably well. I'm going to narrow this down a bit to cover settings just created for a game and exclude licensed settings and slightly modified versions of Earth. As someone who gamed back when old school stuff was new, I remember the original versions of settings like TSR's Forgotten Realms. My default game setting was usually World of Greyhawk. I'd still gladly set games there. 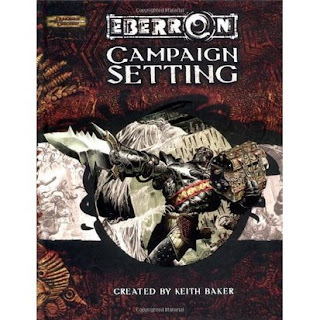 That said, I really enjoyed Wizards of the Coast's Eberron Campaign Setting, especially in its original incarnation. It really hit a lot of criteria that I enjoy. It didn't feel like a world that had no room for the players to do important things. It took place in the aftermath of a major war with a strong feeling another one is coming, giving a bit of the feel you get in 1920s/1930s Earth with high action, airships, and lightning rail trains. It had an awesome fantasy city, the city of Sharn, something like a miniature medieval Coruscant. fits into this category as my favorite horror RPG as well. The odd thing is I don't recall having played another horror RPG - I suppose playing Vampire: The Masquerade might count but it doesn't seem to be a horror RPG in the same way that Call of Cthulhu is - in that game the characters are the monsters. I've also played Eden Studios' Angel RPG but that's a bit more a monster hunting RPG than one of horror. When it comes to Supers RPGs I've not had a ton of luck. I think it is largely because there's a number of genre conventions in superhero stories, primarily in comic books, that don't translate well in an RPG. Getting captured, letting the villain get away, etc. These are things that don't just sit well with most gamers. As with a number of earlier entries, it comes down to two main games. I played a ton of the old TSR Marvel Superheroes game. 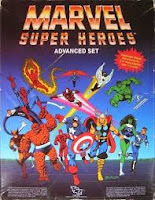 It really seemed to capture the Marvel Universe of the 80s and early 90s rather well and was fun and easy to play. Geez this one is really tough too. 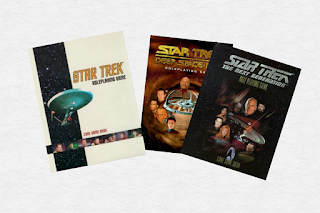 For a fairly long period the great bulk of my gaming was in the science fiction genre. Gamma World (2nd Edition)Star FrontiersStar Trek (FASA)Doctor Who (FASA) Star Wars (West End Games)The Babylon Project (Chameleon Eclectic)Star Trek (Last Unicorn Games, various incarnations)Star Trek (Decipher)Star Wars (Wizards of the Coast, various editions)SerenityStar Wars: Edge of the Empire I'm pretty sure there's one or two missing. Interestingly, I've never actually played Traveller, though I have often borrowed from it for many games. I'm going to go over some of the games I've played before zero-ing in on a favorite. Once upon a time I had a blast with a D&D 3.5 game in the Eberron campaign setting. I'm going to say that D&D 3.5 was a blast to play. However, in terms of running the game, especially with regard to prep work, I found it a bit cumbersome. I played some D&D 4e and generally enjoyed it but it felt a bit different from other D&D games and we did run into the dreaded "grind" where the outcome a combat is clear several rounds before it ends. I've also done some RuneQuest - the second incarnation of the Mongoose version. 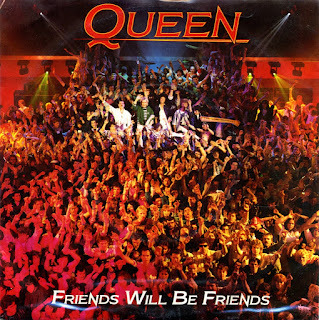 It's pretty similar to the current incarnation. 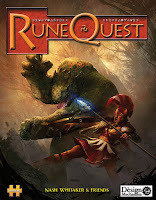 I enjoyed the give and take of RuneQuest combat and the straightforward skills system. I've only done one full campaign with that, a rather enjoyable fantasy Vikings meeting Lenape in Manhattan. Nowadays, with kids and the fact I'm several years into my forties, even that's a dream, with sessions in the 2-3 hour range. 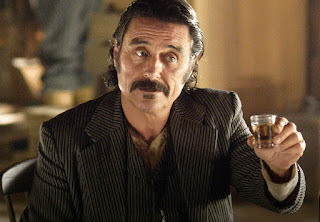 I've learned to use hour-long television drama as a model for planning a game session. Part of me misses the ability to keep a game going deep into the night and into the next morning, but to be honest I'm glad to have people I enjoy gaming with on a regular basis. A player in my group and I have jokingly suggested opening a retirement community for gamers. My longest overall campaign is probably a game my brother and I would do off and on throughout the late 80s to the mid 90s, working its way through a variety of classic AD&D adventures along with a number of home-brew adventures. The Temple of Elemental Evil fell, the Slave Lords were defeated, as was Lolth, Demon Queen of Spiders. Great times were had on the Isle of the Ape as well as a visit to modern (1980s) London to retrieve the Mace of St. Cuthbert. I've seen a lot of RPG accessories posted today that are not related to gaming products and it got me wondering what sort of item along those lines I'd go for. Well this is a bit odd since I'm not a huge podcast listener, though a number of players in my group are and I've listened to quite a few on their recommendations. 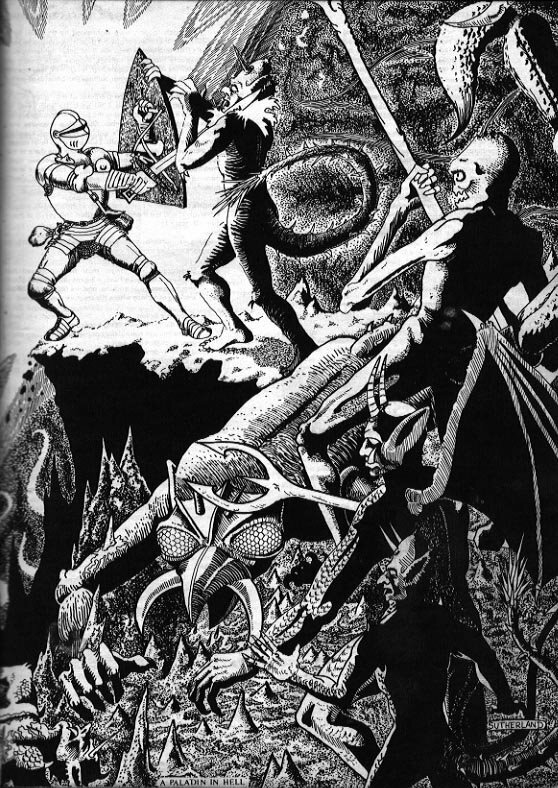 I'm actually able to give a straight answer on this one as I do have an actual favorite - it's a classic and one I'm sure others will have it as well and deservedly so - David Sutherland's A Paladin in Hell from the 1st edition of the AD&D Players Handbook. For me this illustration captures the heroism of the paladin - not the infamous "lawful stupid" caricature but the true hero who will fight the forces of evil in their own domain against overwhelming odds. Over the past few days I've seen some previews for Immersion RPG's upcoming Infected RPG, set in a world crawling its way out of a zombie apocalypse. Now to be honest, their website does have an amusingly bold declaration: " We are a pen and paper Role Playing Game company in the final stages of creating the most exciting system and settings you’ve ever played." Their starting RPG, Infected, is due to launch on Kickstarter in about a week. To be honest, it was the artwork that first caught my eye, being strongly reminiscent of the Playstation game The Last of Us. If I were forced to pick one I'd probably go with Evil Hat Publishing. They've produced some great games, have fantastic customer service, and seem to be just good all-around people. They don't produce a ton of products but at the same time they seem to have found a way to determine what it is they're able to take on and deliver on that. Who else do I like? 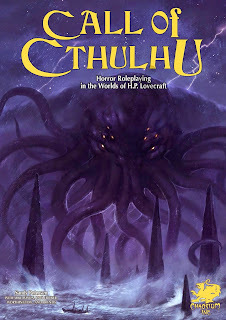 Chaosium produces my favorite RPG, Call of Cthulhu. 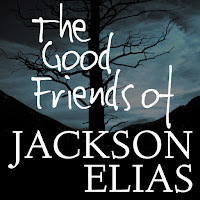 If their new management irons out some of their problems, they'd be tied or ahead of Evil Hat. (i.e. 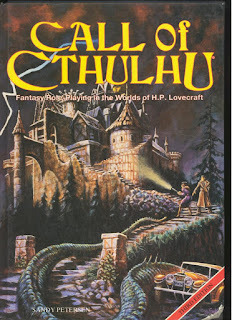 delivery of Cthulhu 7th Edition physical books, finally realizing Pulp Cthulhu). I'm cautiously optimistic on this front. When I was in middle school I saw the movie E. T. the Extra-Terrestrial. One neat scene was a bunch of the older kids playing a D&D game (or something a whole lot like D&D). Though in my neck of the world (Connecticut) didn't have the massive "D&D is satanic" scare that other parts of the country did, it was really neat seeing a D&D game presented as something a bunch of people did to have a good time - unlike Mazes & Monsters which seemed to posit you'd lose your mind, go exploring in the caves or steam tunnels and finally try to jump off one of the Twin Towers of the World Trade Center. I'm also going to be focusing on free complete games, not free teasers or introductions. For this, I'm going to go back to Evil Hat's Fate Core RPG. You can go to RPGNow right now and get yourself a copy of it and pay absolutely nothing for it. That is a great deal. You get an absolutely complete game that you can use for years. I'll also give a few honorable mentions. Today's entry is a bit easier for me to answer straight. 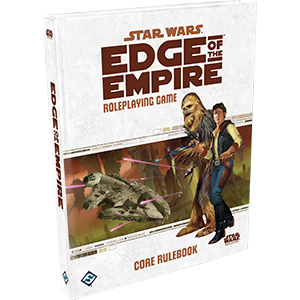 The most recent RPG I've played (and the next one I'll play) is Star Wars: Edge of the Empire. For May the 4th I ran a one-shot Star Wars game (using the West End Games d6 system). It was rather fun and we wound up turning it into a campaign, though we are using the Edge of the Empire system for the campaign. 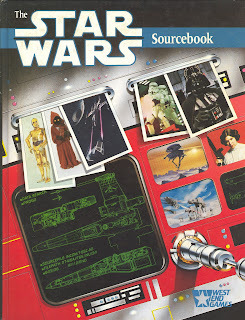 The game is set around four years before the events of Star Wars: Episode IV - the Rebel Alliance is in the process of coming into being but for the time being, a being has to earn a credit. We've got a quixotic Jedi, an Ewok demolitionist, a bounty hunter, a former pirate, and a rabble-rousing droid. I'm raiding my extensive West End Games Star Wars collection to give me inspiration and resources - our game is set in a modified version of a pre-Vampire Mark Rein-Hagen's Minos Cluster, from the Tramp Freighters Galaxy Guide. You'd think this'd be an easy question. Most recent RPG I paid money for, even if I've not yet received it in the mail? Most recent I've taken possession of? Something else? Hey, I get to answer in multiple ways. 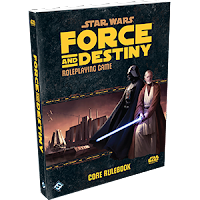 Most most recent purchase is an order of Fantasy Flight Games' Star Wars:Force and Destiny RPG Core Rulebook and Gamemaster Kit. Of course looking at my order status I see it as "Pending Shipping". C'mon folks, let's get this puppy out the door and to my house. In all honesty, I'm not certain how much use I'll get out of this book in the short-term - though my Edge of the Empire game does have a quixotic Jedi in it and we use the Force Sensitive specialization from that book for him. But I'd like to keep this campaign going for a while and I'd love to get some Force action in the game at some point. With the new movie coming out this December I'm really hoping to stave off the dreaded GM ADD. Well this one could be interpreted in two ways. One could go negative with "I thought it'd be awesome and it is a total turd!" But that seems mean. So I'm going to go with something better, way better, than I thought it'd be. My most surprising game would at this point be Fantasy Flight Games' Star Wars series of RPGs (Edge of the Empire, Age of Rebellion, and Force and Destiny). I'd had Edge of Empire for a while but at first glance the dice mechanic really threw me. Especially given the fact that I primarily game online nowadays I didn't see how I'd get much use out of it. This topic is a little iffy as one can define both a new game and the past 12 months in some odd ways. For example, is a new edition of a game a new game? And in what form does it need to be? For example, Call of Cthulhu 7th Edition became available digitally last November, though I'd had a backer preview for several months. And the physical books are still pending.